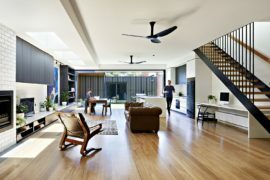 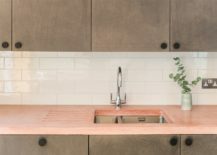 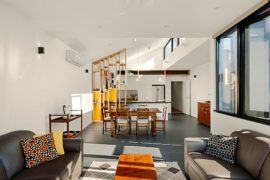 Giving the old a new lease of life when it comes to home design is a process that requires careful balance between aesthetics, ergonomics and budgetary constraints. 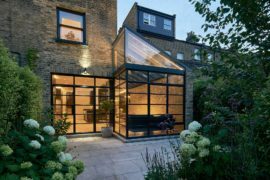 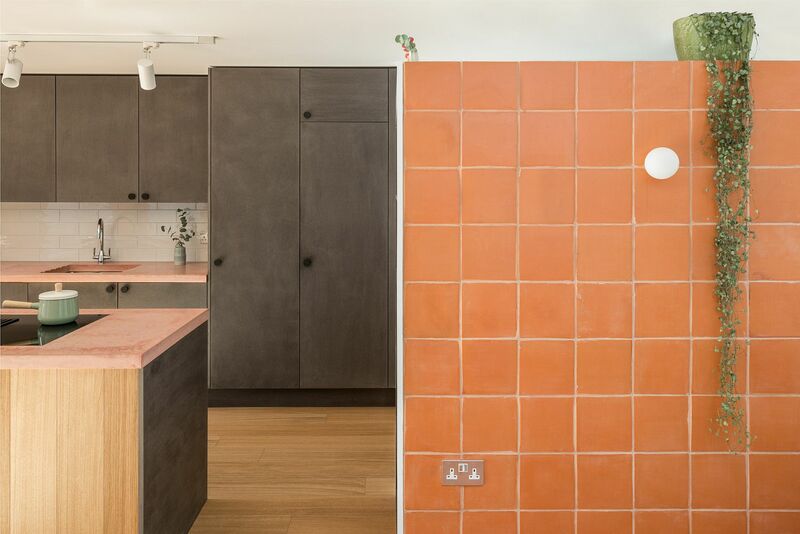 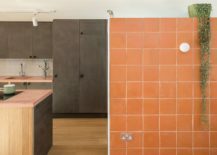 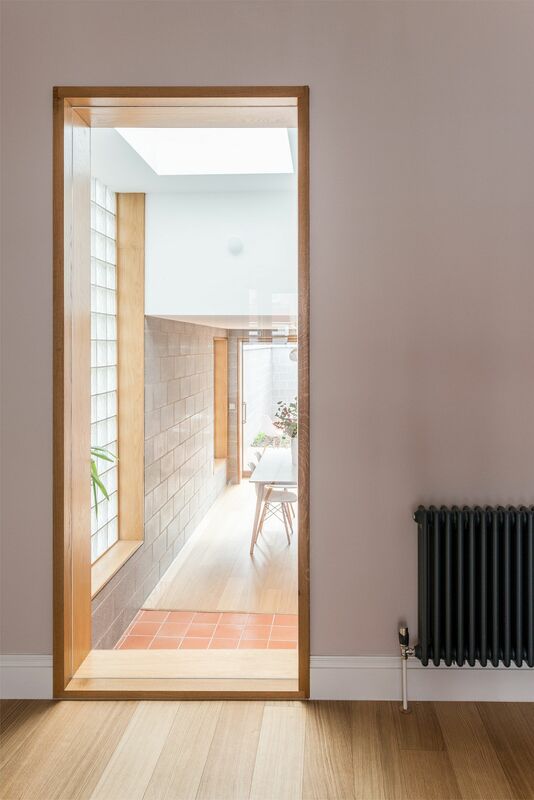 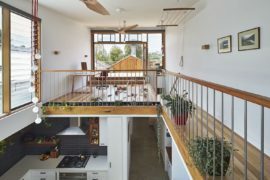 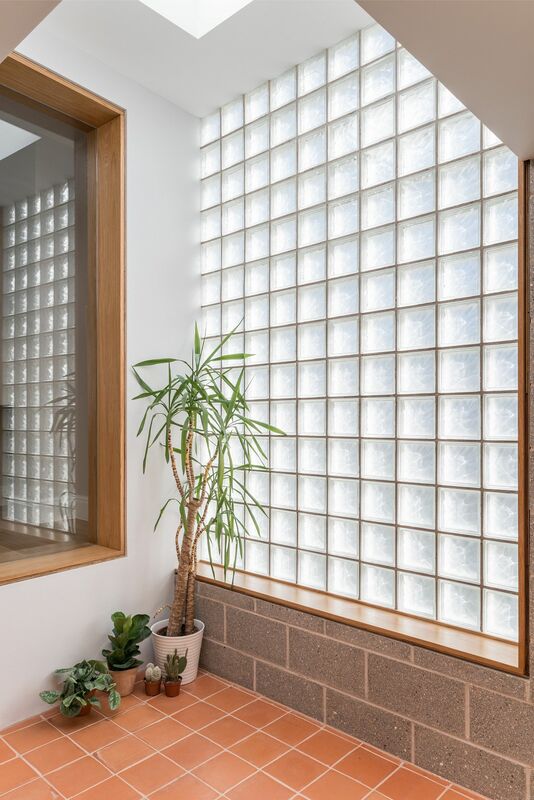 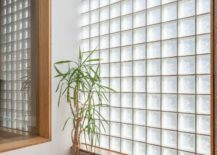 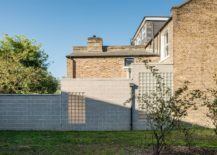 This old and forgotten end-of-terrace Victorian house in Stoke Newington was bought by a young couple who wanted to transform it into a more modern and spacious setting. 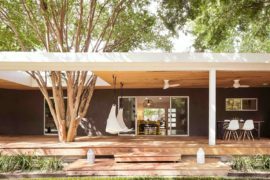 To realize this dream, they turned to nimtim architects, who gave the house an entirely new look with an interior that is colorful, bright and has a personality of its own! 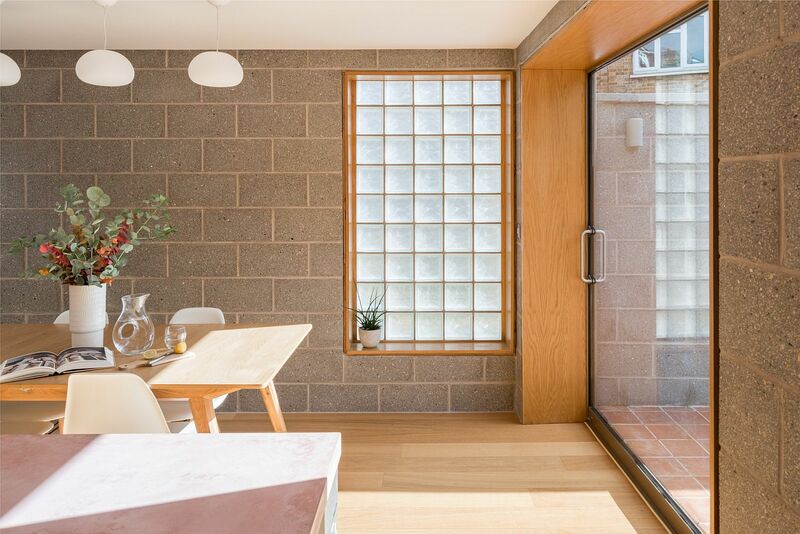 This was done using a rear internal courtyard that welcomes light indoors even while creating a vibrant social zone. 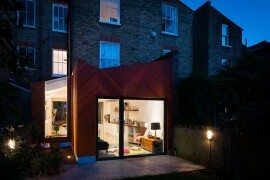 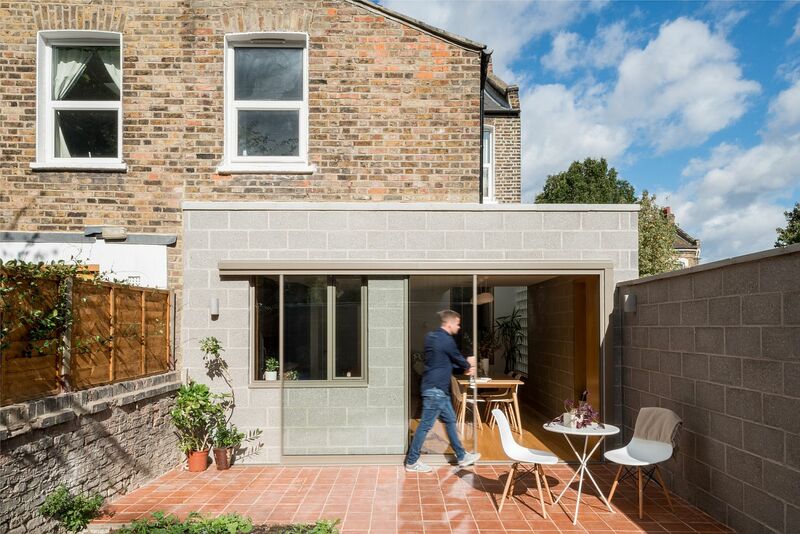 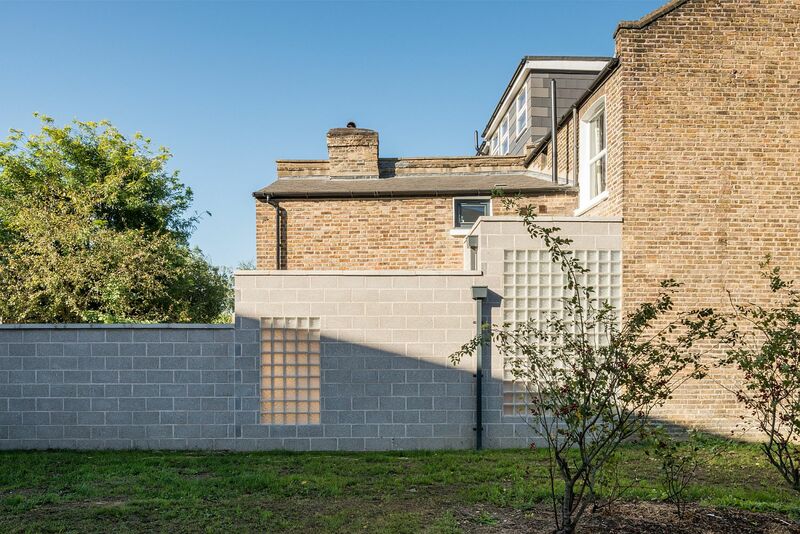 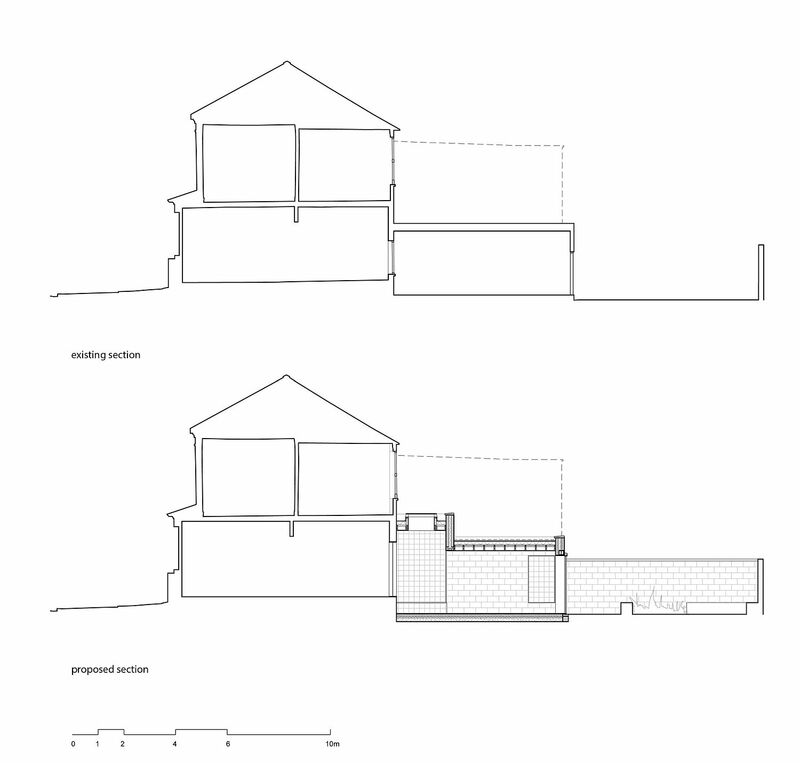 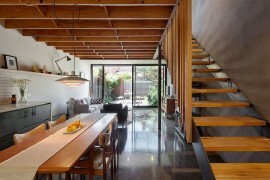 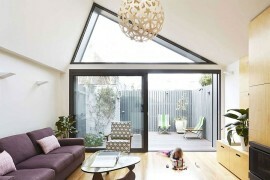 It is this new extension that acts as the defining feature of the Block House, reenergizing the aged Victorian house. 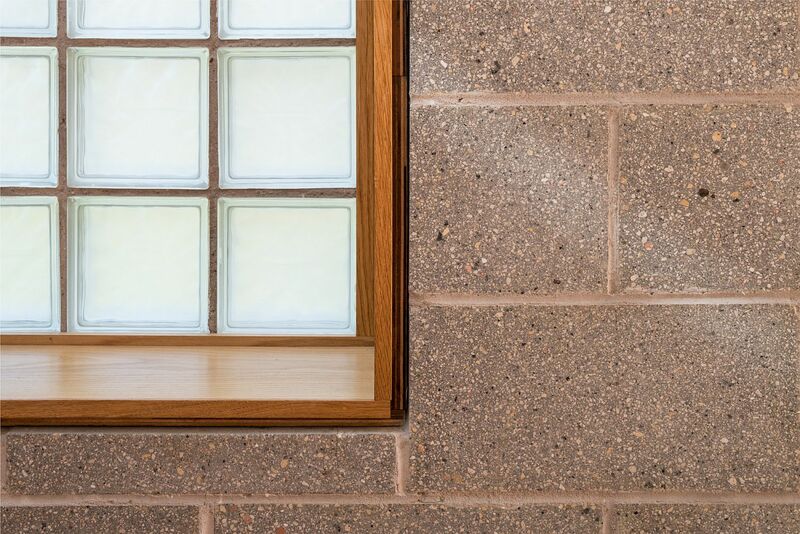 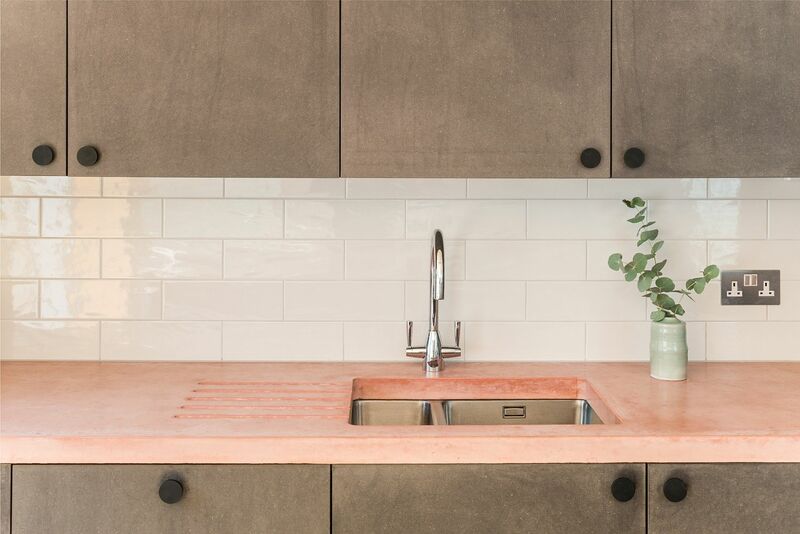 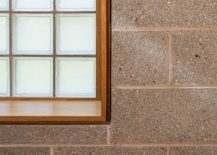 It is easy to see how infusion of color has altered it completely even as gray cement tiles and sand-blasted glass sections add ample textural beauty. 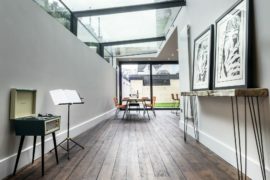 At every turn, one finds something unique and fascinating here as the classic British home gives way to a polished and playful setting. 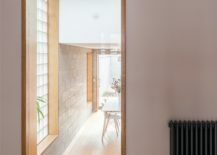 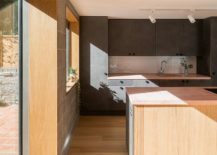 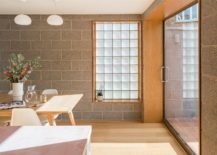 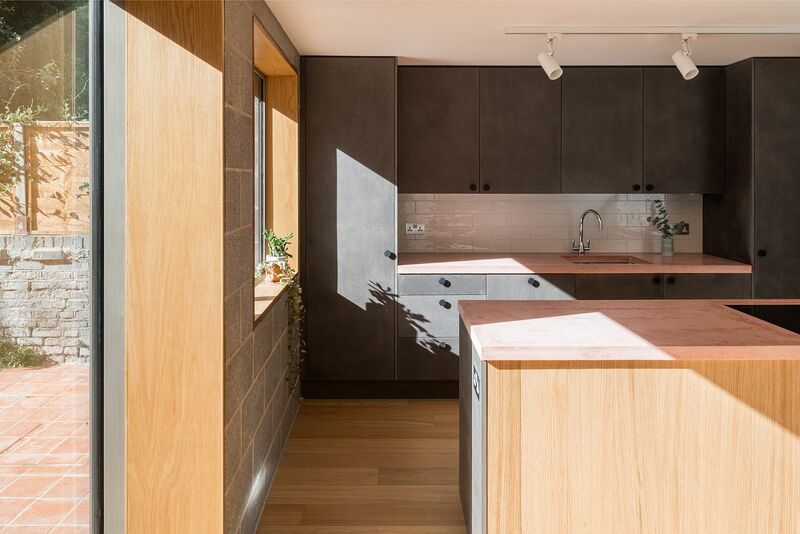 The diffused light from the glass wall section illuminates the living area, kitchen and dining with sliding doors opening it up towards the rear garden.